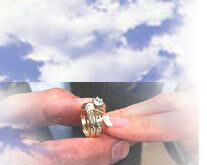 WE HELP COUPLES, LIKE YOU, WRITE AND CREATE THEIR OWN WEDDING CEREMONY. We are ceremony scriptwriters as well as wedding celebrants / officiants creating unique, and very personal wedding ceremonies. We help couples create, write, customize, design, and personalize their own wedding ceremony. If you like, we can also officiate / celebrate your wedding. HOW ARE WE QUALIFY TO WORK WITH YOU ? We have been celebrants for many years. We have the experience of celebrating, designing, and officiating over 1700 weddings. Additionally, we have celebrated many life rituals with many families. We also are the celebrants and scriptwriters for those special key moments of life that call for ritual: birth, death, marriage, transition and transformation of a family or community. Some specific ceremonies are: naming ceremonies, christenings, house blessings, garden and boat blessings, life remembrance /memorial ceremony services / funerals. We also write scripts for the transitional times of the seasons: solstice, equinox, rogation days, beginning and ending of school year and career ritual, etc.